2 Time conference Championship, Union County Championship in 2004, 350+ Career wins. 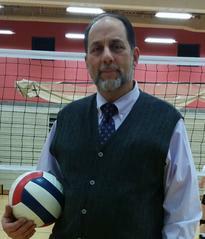 Founded Central Jersey Volleyball LLC to provide additional opportunities for local players to continue playing year-round without the expense and commitment of club programs. HS Winter League, Spring Clinics, Middle School League, and The HS Summer League (NJ’s largest) are the products of CJVC. Both the MSVB League and Summer HS League continue to this day. Impact certified and Gold Medal Squared trained. Coach Candiloro brought the Gold Medal Squared Coaching Clinic to NJ for three of the past four years. Hundreds of coaches have attended. He believes in providing the best value and top quality coaching for the least expense of any NY/NJ club program, in an effort to allow opportunities for local girls to compete at the highest levels. Teacher of Technology at Rahway High School. Founder of Rahway Robotics Team #1228. Provide a positive, nurturing environment with the emphasis on sport specific training and guided repetitive practice to allow players to grow at the best rate possible. Be a positive role-model and demonstrate behavior and attitude that will assist in the personal and sport growth of all involved.